Detailed guide for the Cooperation Guide for the Sun Arcana. We will update this as we go along. The sun confidant is Toranosuke Yoshida. Despite losing several times, he doesn't give up. As the sun confidant, he helps you with negotiations. Toranosuke Yoshida gives soapbox speeches outside of Shibuya Station. In the 20 years since he started, he lost seven consecutive elections because of his tempestuous personality and spotted past. Nonetheless, he seems to have good speeches as some still stop to listen to him. The first time he is available is on May 6. He will give a soapbox speech which grabs the protagonist’s attention for a bit. The second time you speak to him is when you work as a part-time beef bowl waiter. He’s unlocked after helping him out for a second time. Spending time with Yoshida regularly awards the player with three points of Charm. 2 Negotiations Technique During demon negotiations you can make a further demand for money/items on top of your original demand. 3 Money Collecting During demon negotiations you can ask for a larger sum of money. 5 Impression Manipulation During demon negotiations, the likelihood of them submitting rare items increases. 7 Sympathy Seizing technique During demon negotiations you will definitely get a persona to join you. 10 Charisma Speech Technique During demon negotiations you can convince a persona higher level than you to join. At 5/6 onwards, listen to his speech at the Central Square station. Choose “I’m interested” then go work at the part-time gig at the Beef Bowl Shop. Work there twice and you will be able to meet him. 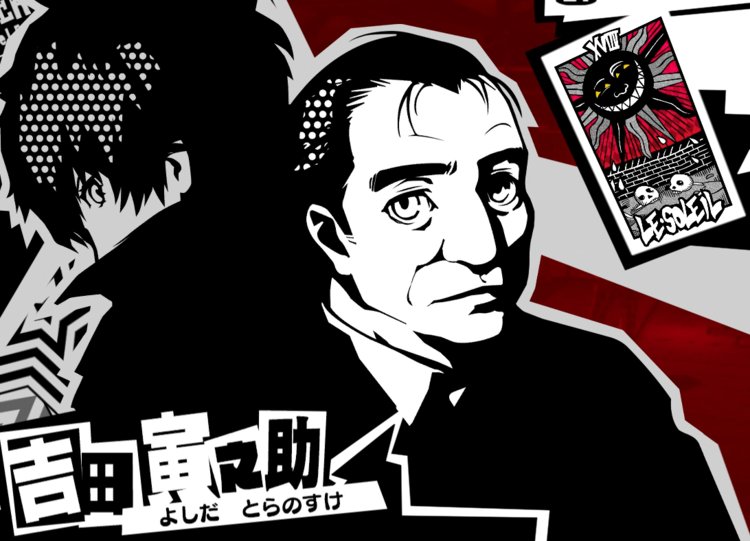 I’m not entirely sure, but from what I’ve seen with Yoshida’s confidant you don’t need multiple meet ups with him like all the other confidants. From my first playthrough I increased with his ranks whenever he was available. Granted, I only got to rank four with him because I completely forgot about him until the second to last dungeon on my first run, but I’m trying again to check if I’m right on a NG+ run. It seems like I was right. You don’t need hang with him multiple times to rank up with him.